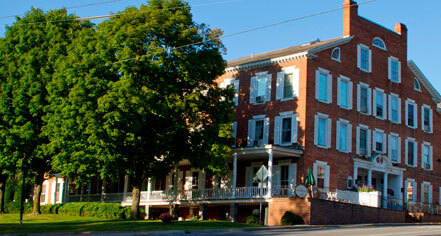 Noted by Zagat as one of the oldest continuously operating hotels in the country, the Middlebury Inn has been welcoming guests since 1827 and is located overlooking the village greens in downtown historic Middlebury. *“Concentrated on the banks of Otter Creek around the focal falls and bridge, Middlebury has remained to a remarkable degree the village that the 18th and 19th centuries built.” Embrace the history of this Vermont shire town with our Historic Middlebury Package. Middlebury’s historic and lively downtown offers a wide variety of shopping opportunities, including one of Robert Frost’s favorite bookstores, as well as over ten restaurants. We’ll give you $10 of “Middlebury Money” to entice you to shop. 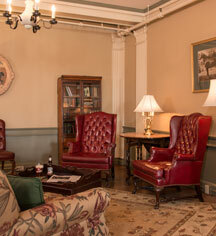 Your Historic Middlebury Package Includes: • Accommodations in the beautifully restored historic Inn or Porter Mansion • Two tickets to the Henry Sheldon Museum of Vermont History** • $10 per night of “Middlebury Money” • Daily breakfast for two at Morgan’s Tavern *Quote from Glenn M. Andres author of “A Walking History of Middlebury” ** Sheldon Museum is open Tuesday – Saturday, 10am to 5pm ***Rates vary by date. Room taxes not included. Cannot be combined with another promotion or package.